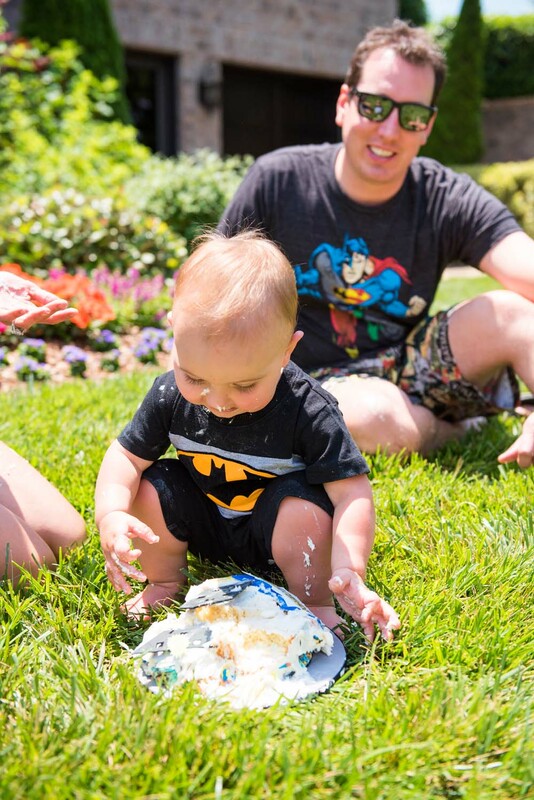 Our little superhero turned one on May 18! 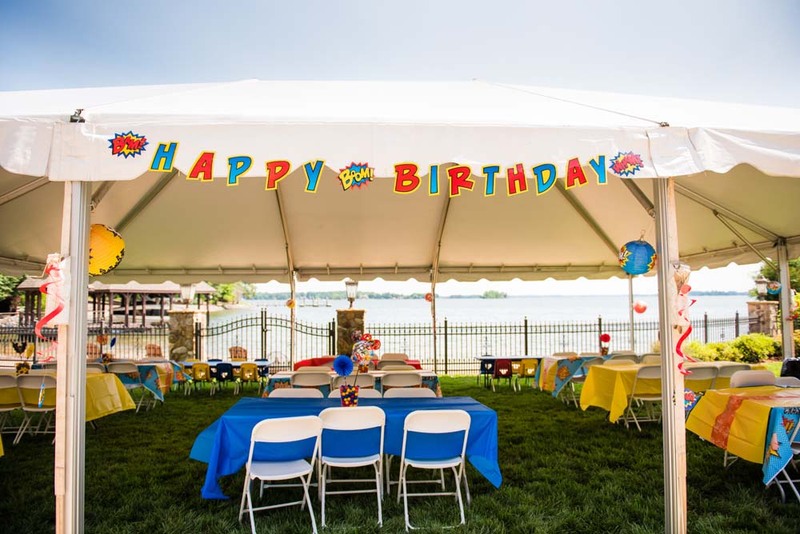 Mommy had so much fun planning his party that I wanted to share some pictures and party planning details with all of you! 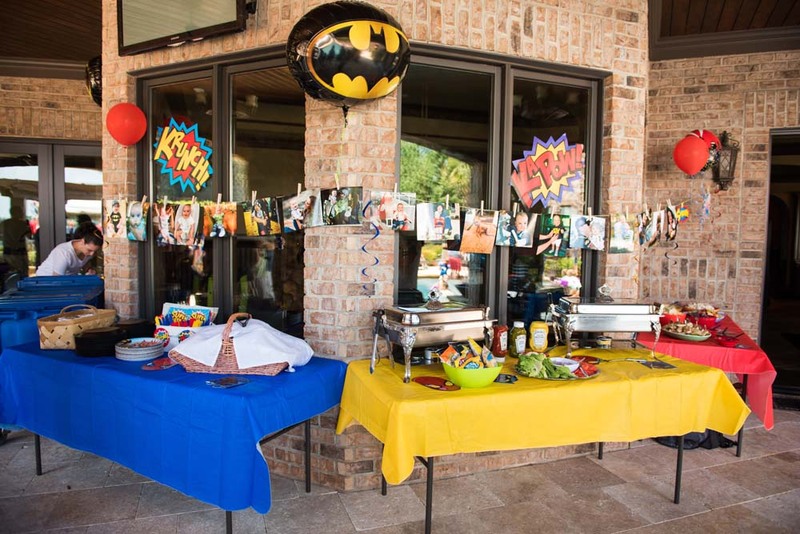 I think the hardest part of throwing a party is choosing a theme. 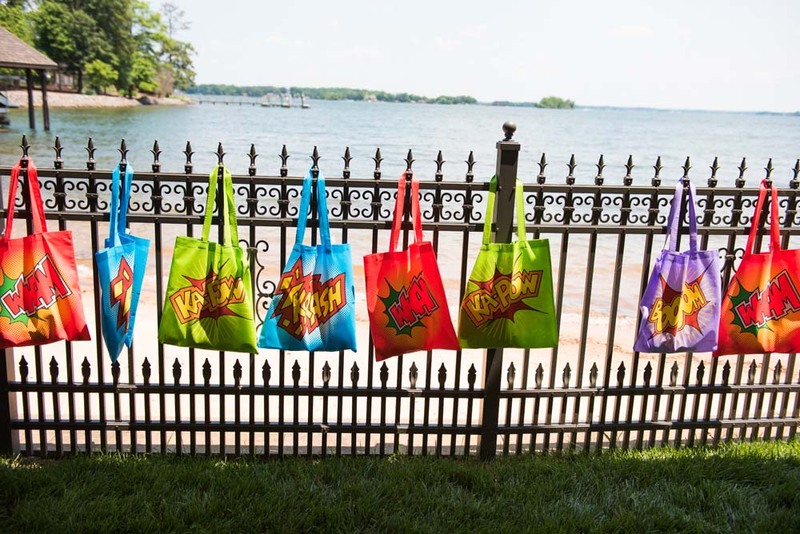 We debated between race cars, jungle, primary colors and others, but ultimately decided on superheroes so that the other kids (and even adults!) could dress up. After we nailed down that detail, it was easy to start planning. 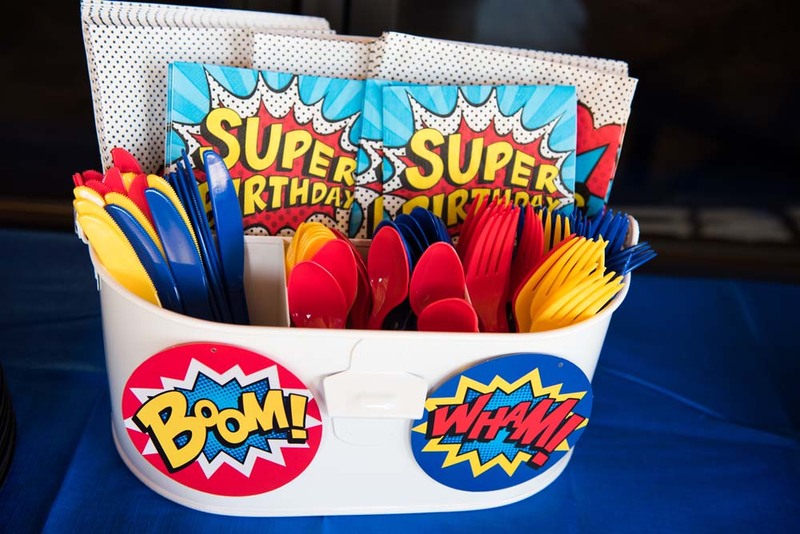 Between Pinterest, Party City and a host of other online party supply stores, I found so many cute things (at great prices too!) 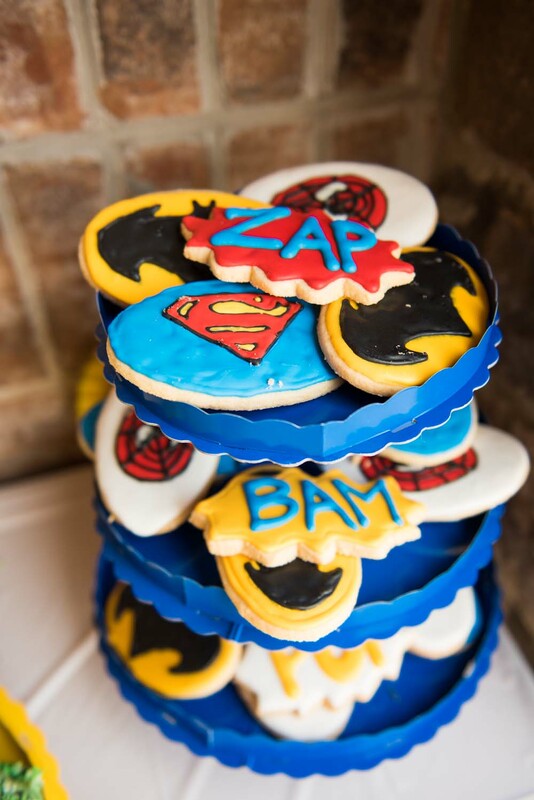 for Brexton’s birthday party. 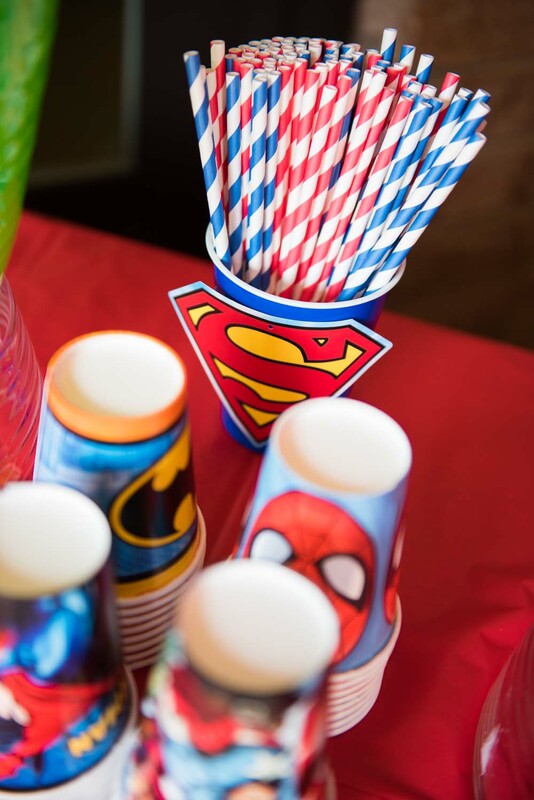 I wanted a mix of comic book and superheroes so that the party was fun and bright for the kids. 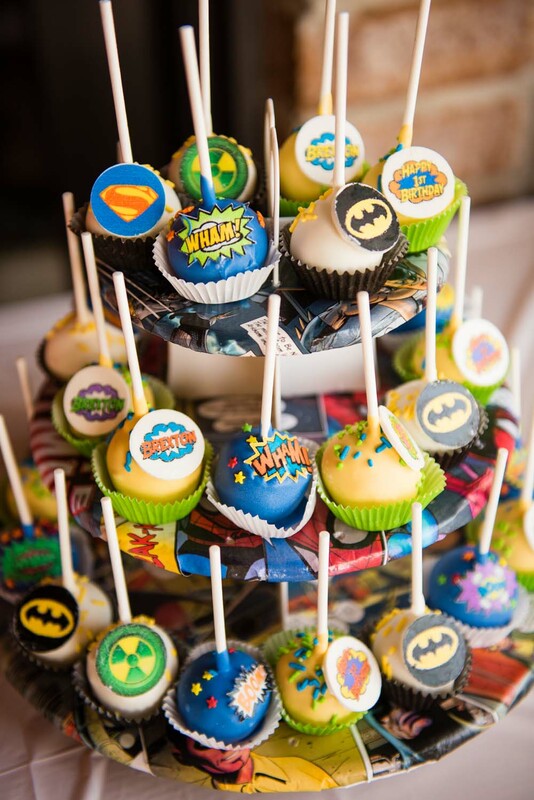 From the tablecloths to the cake pops, everything was in theme! There are a few really cool things about the party that I want to point out if you’re planning a party. 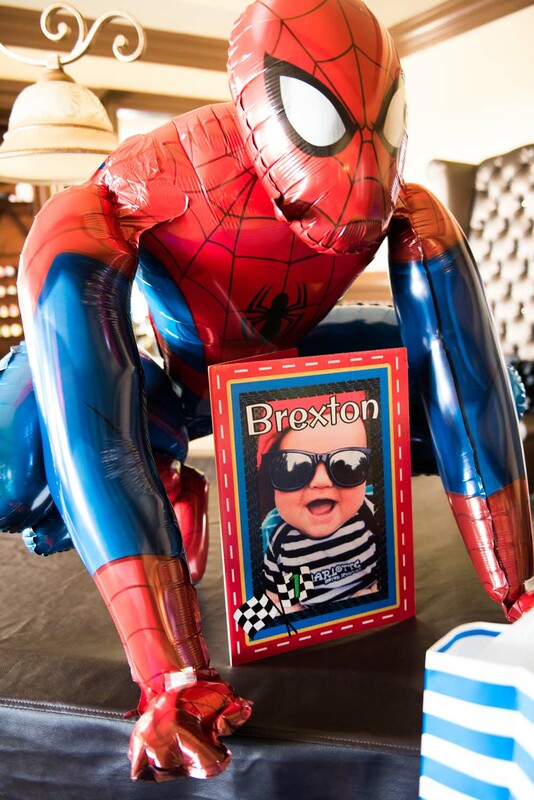 First, I created a Brexton photo banner with pictures of him throughout his first year. I was going to do one of each month so people at the party could see just how much he’s grown, but there were just so many adorable pics that I ended up choosing about 25! I just used thin rope and clothespins to create the banner. 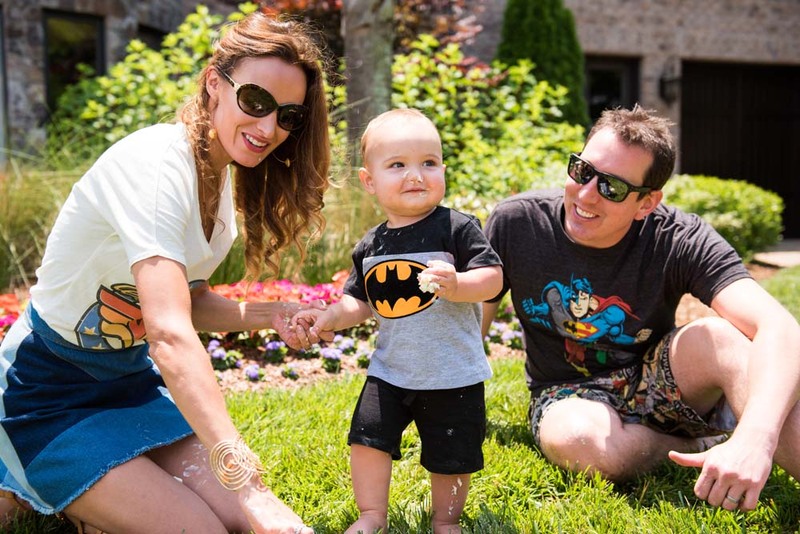 The adult guests really enjoyed seeing how much Brexton had grown and changed over the months, and it was a great conversation piece! 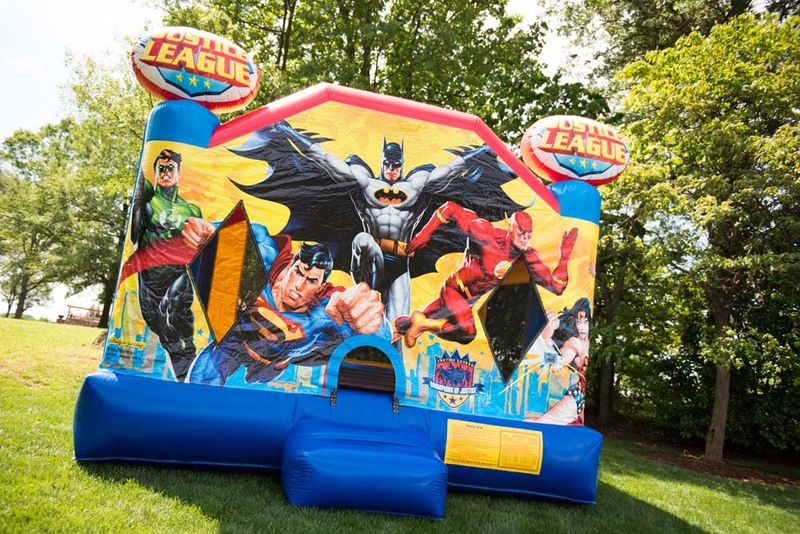 Another fun thing I came across were the huge kid-sized balloons from Party City! 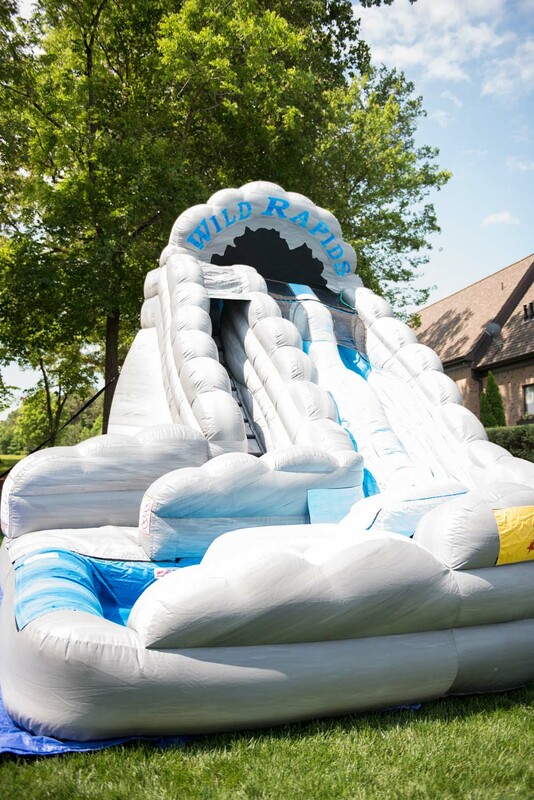 They stand nearly four feet tall and the kids thought they were awesome! Posing with them for pictures, or, of course, the boys used them as punching bags for bragging rights that they took down Spider Man. 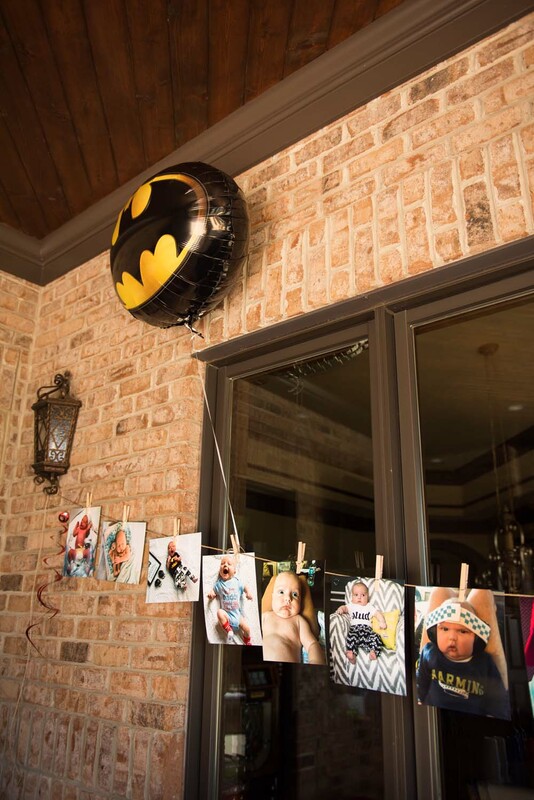 I wanted a creative little photo area for the kids and families to take pictures, especially so they could show off their cute costumes! 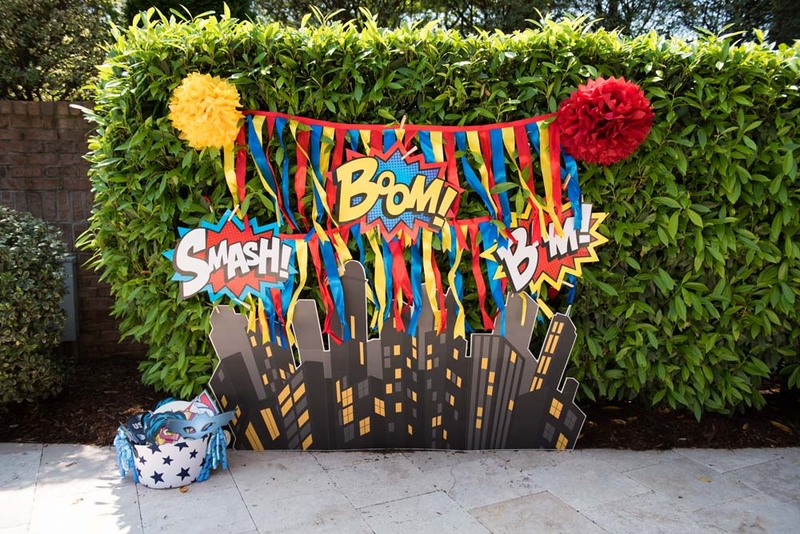 So, I took two banners and a cut out a cityscape that I found online to create the backdrop. I added masks and other props to pose with, too! The most time consuming part of the décor process were the centerpieces. I had seen a few on Pinterest, but couldn’t find anything that I absolutely loved. 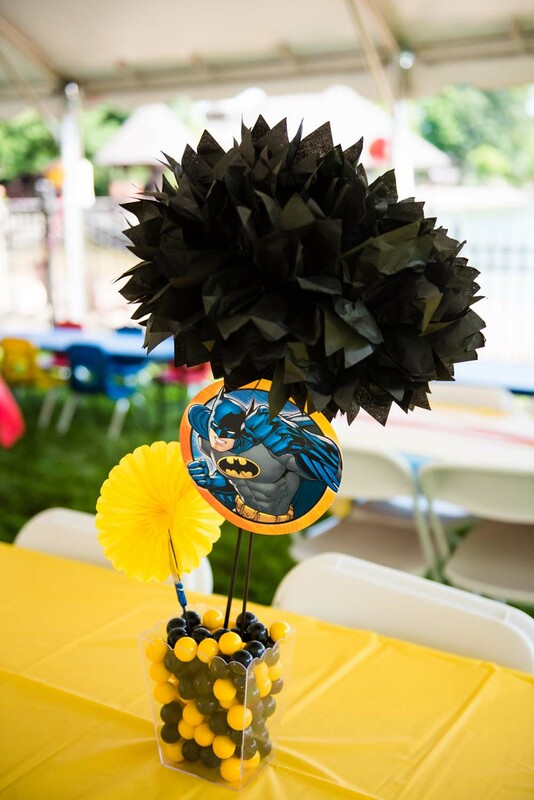 After walking the aisles of Party City for about the 12th time, I came up with these adorable centerpieces that I hand-made. I am writing actually in the process of writing a separate blog on them because it was a lot of trial and error before getting them right and I want to save you all some time! Unfortunately, after spending a lot of time on them, it was really windy the day of the party and within five minutes they blew over. It was heartbreaking, but at least we got a picture before they tumbled over! Food and drinks are always important at a party! Since it was a backyard bash, we went classic with hamburgers, hotdogs and chicken nuggets for the kids, along with yummy sides like potatoes salad and grilled vegetables. For years, we have used Southern Gourmet Caters and really like all their food! For drinks, we rented a margarita machine for the adults (which was a huge hit!) 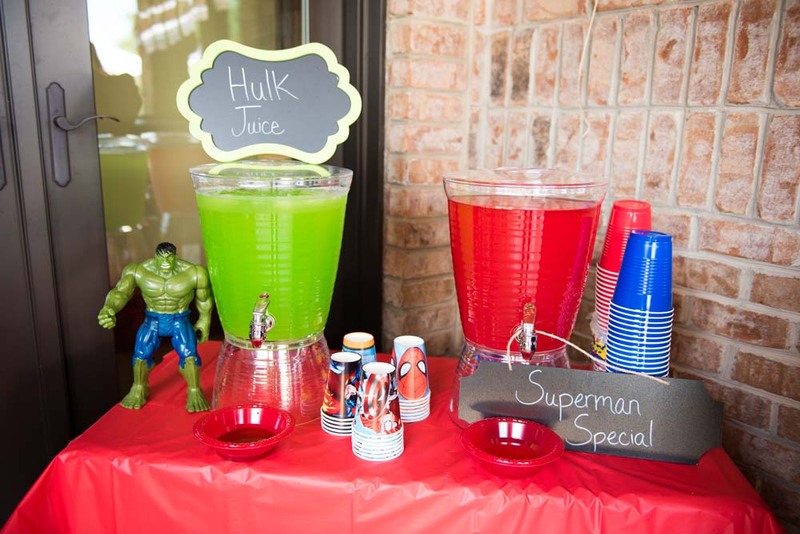 and made Superhero drinks for the children! Lastly, let’s talk about the DESSERTS!!!! 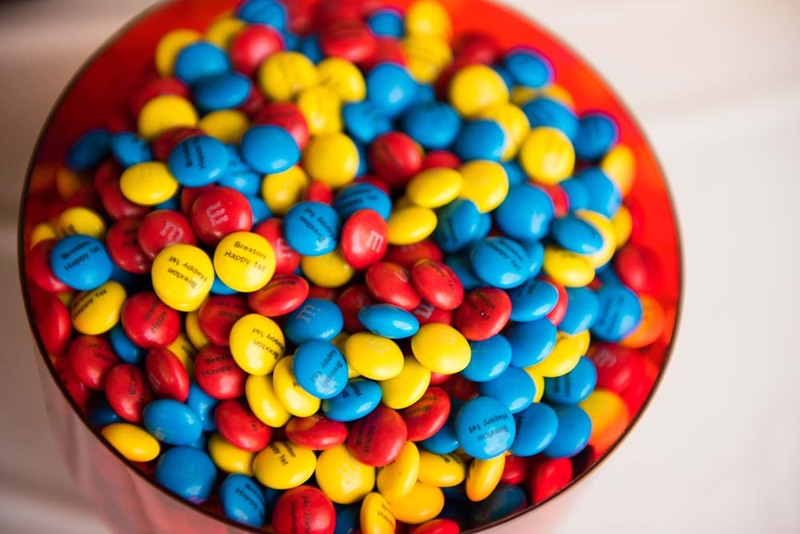 Everyone’s favorite at the party! 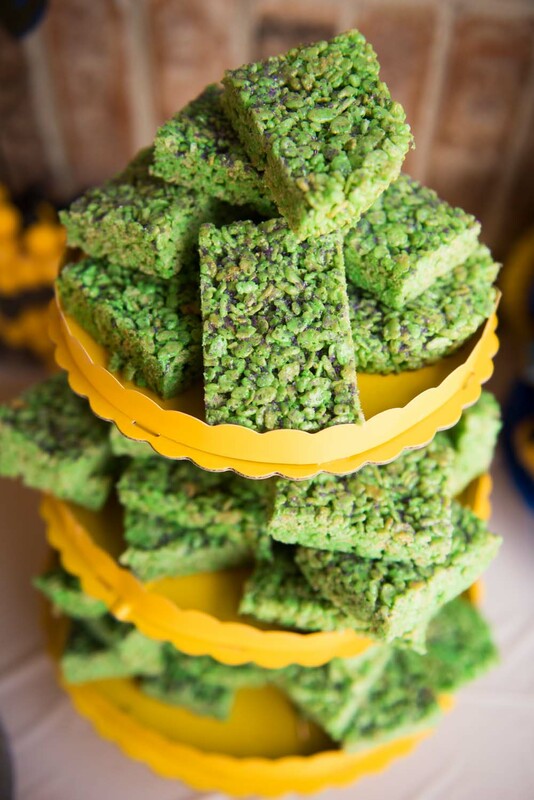 We had a variety of delicious items such as Hulk rice crispy treats, personalized M&Ms, superhero cake pops and cookies and of course the cake. If you live near Mooresville, NC you need to check out Desserts by Dawn because she makes the most amazing and delicious desserts! 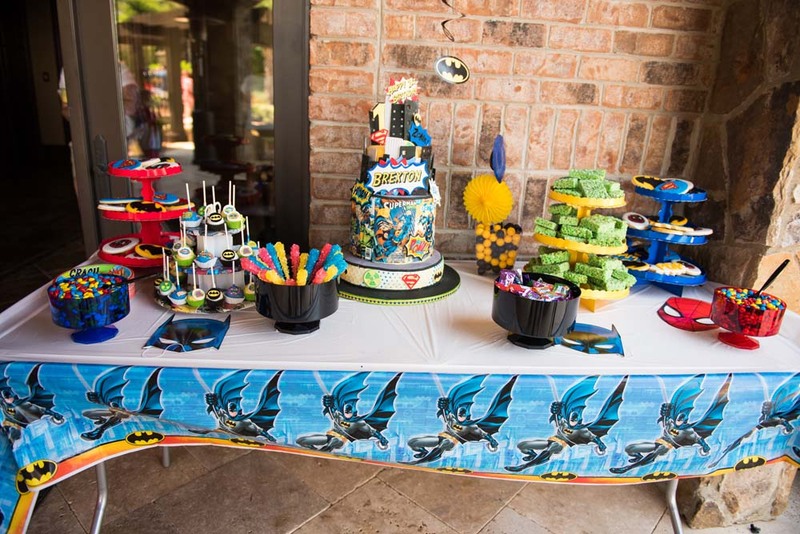 Not only did she create the cookies and cake pops, but she also made Brexton’s cake that was a work of art! 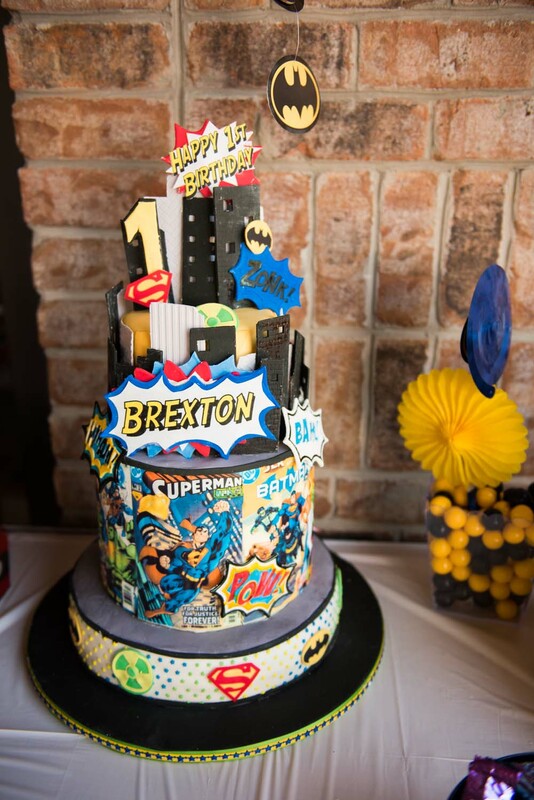 Combining both comic books and superheroes, she created this stunning cake along with an adorable matching smash cake! The entire party was a blast and I really think everyone enjoyed the theme. 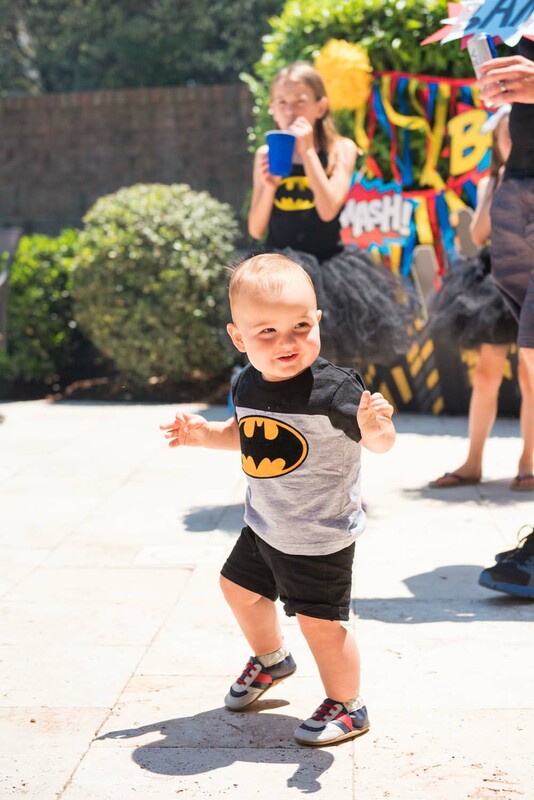 Brexton had so much fun celebrating with all his family and friends!